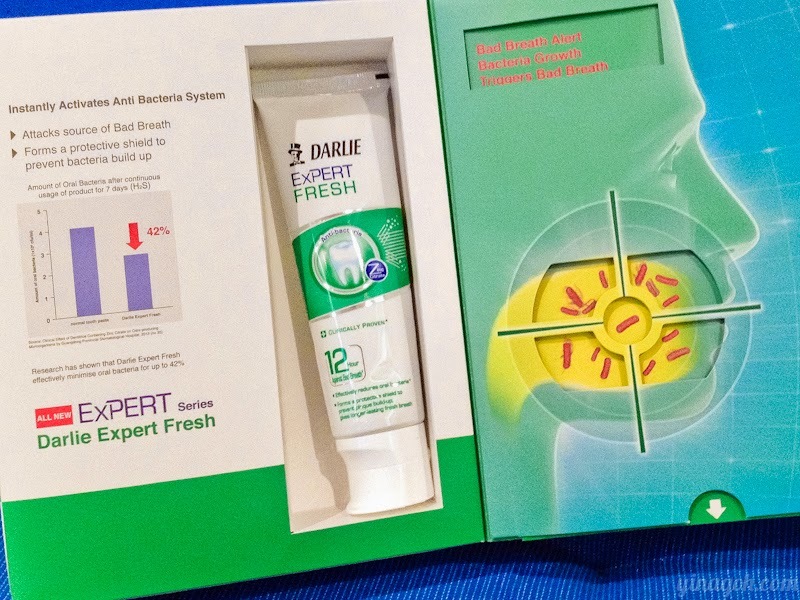 Darlie Expert Fresh: 12-Hour Protection for Fresh Breath! Do you remember the review and video I did for Darlie Expert White some time back? 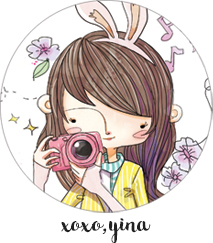 Well, I’ve been using Darlie Expert White ever since then and I love it! I never used to have a preference for toothpaste, but somehow I really like Darlie Expert White, both the texture, the fresh minty scent and of course the fantastic benefits it has for keeping my teeth pearly white. With the success of Darlie Expert White, Darlie has now launched another product in the Expert series, and this product is… *drumrolls* the new Darlie Expert Fresh!!! While Darlie Expert White focuses on preventing yellowing of teeth and using high-quality ingredients to whiten teeth, Darlie Expert Fresh does exactly what its name sounds like: it keeps your breath fresh! However, did you know that bad breath (or mouth odor is actually caused by bacteria in the mouth? As the saying goes, prevention is better than cure, and the most effective way to prevent mouth odor is to.. Kill all the bacteria! Makes a lot of sense to me actually! And that’s what Darlie Expert Fresh does, with the help of key ingredient Zinc Citrate, bacteria in the mouth is reduced and also kept at bay for the next 12 hours! This means that your breath will stay fresh and nice for 12 hours! Darlie Expert White contains an advance, active Zinc Citrate formula, which provides all rounded care for oral health. With its highly efficient (attack-defence system) anti bacterial function, it allows fresher breath and strengthening of overall oral health. The Active Zinc Citrate formula can minimize the formation of dental plaque and tartar for long periods of time, which effectively removes unpleasant smell forming in the oral area, in turn providing long periods of protection for good oral breath. As such, Darlie Expert Fresh toothpaste’s Active Zinc Citrate formula creates dual functions to Attack the source of bad breath, effectively reduce oral bacteria, and forming a protective shield to Defend against plaque build-up. With such an Attack – Defend system, bad breath can be kept at bay through simple oral hygiene regime daily giving you the 12 hours of fresh breath you always wanted! I don’t know about you, but I unfortunately tend to wake up with dragon breath… Oops. You probably don’t want to come near me before I brush my teeth in the morning! I figured that since Darlie Expert Fresh kills and reduces bacteria, after which forming a protective shield to keep my breath fresh for 12 hours, brushing my teeth with Darlie Expert Fresh before I went to bed would help with my problem! So of course I immediately swapped out my toothpaste for Darlie Expert Fresh one fine bedtime..
Now, I don’t feel that my breath is very stinky during the day so I wouldn’t have had been able to give an accurate review had I tested this by brushing my teeth with Darlie Expert Fresh in the morning, but after brushing my teeth with Darlie Expert Fresh before I went to bed, I most definitely woke up with much fresher breath than usual! I was really quite amazed and even made YZ smell my morning breath hahahaha ok just kidding!! I didn’t! But I did tell him about how amazing it was, and he tried it and loved it too! Another thing that I love about Darlie Expert Fresh is the really nice pepper minty flavour, it is extremely refreshing! The gel-like texture is just as great as the Darlie Expert White too! My teeth feel really clean, while my breath feels super minty and nice! This might sound kind of insignificant, but it annoys me to no end to use toothpastes that come with screw on caps that go missing easily and are so troublesome to screw on and off! 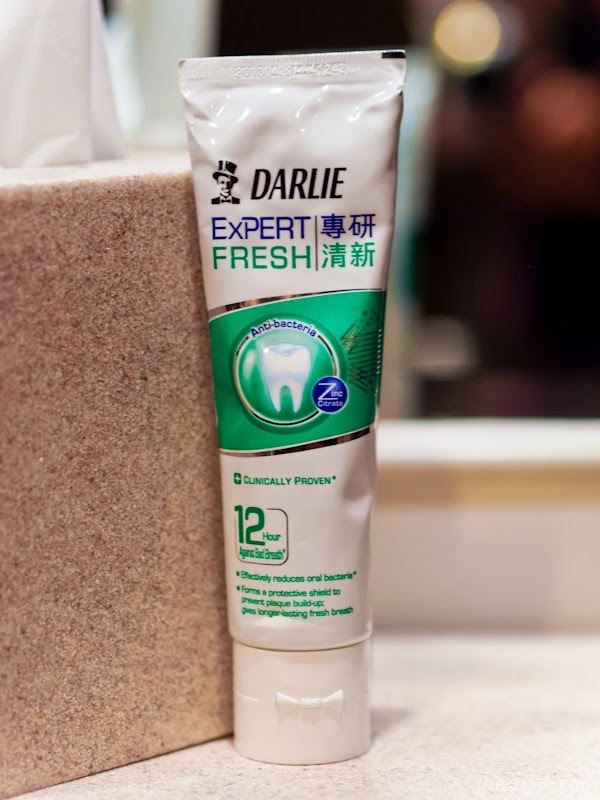 Darlie Expert Fresh comes with a flip cap (just like Darlie Expert White) that’s really convenient and it allows the toothpaste to stand on my toiletries shelf too! Such a small detail but very much appreciated! It is available at selected major NTUC FairPrice, Giant, Cold Storage, Sheng Siong, Prime and other leading supermarkets, Watsons, Guardian, Unity and other cosmetic stores from March 2014. PS. Join Darlie Expert Fresh at The Fresh Quest! Looking forward to keeping my breath fresh and clean everyday with Darlie Expert Fresh!